Who is This Group Policy Page For? The concept behind Group Policies is that administrators configure settings once, and then the settings apply continuously to the users. Furthermore, Group Policy can be applied to computers, so you can control the settings no matter who logs on. The way that Group Policies works is to alter settings in the registry. The old saying "Prevention is better than cure", certainly applies to Group Policies. A good Group Policy will give greater productivity for the users, and save you time on routine administration. Think of all the damage and time wasting caused by users experimenting with control panel settings. I once saw a user set the screen refresh rate faster than the monitor hardware could cope with, his screen literally went up in smoke! If only the administrator had set a group policy, they could have disabled the Display Tab and thus prevented an expensive mistake. One neglected aspect of group policy is that you can and pro-active and configure settings to be kind to the users, in this case you could create a policy that sets the refresh rate at 80, rather than the flickery default value of 60. Just wading through the 100’s of Policies is a Herculean task. My suggestion is to commission two opposite approaches. Get a ‘Techie’ who understands Windows 2003 to go through the policy and select those settings that he thinks appropriate. Then ask a manager to produce a vision or wish list of what the desktop should look like. Finally, bring the two disparate mind sets together weld them into your Group Policy. Navigate to the Active Directory Users and Computers. 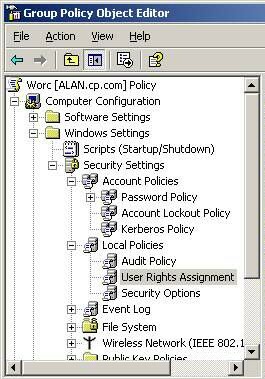 right-click the Domain object, Properties, Group Policy (Tab) now ‘click’ the Edit (button) and you will see the policy settings. A less risky method of easing your way into Group Policies would be to create a test OU, and then make a brand new policy. Firstly, the GPMC is designed for Windows Server 2003 and later rather than Windows 2000. Either execute GPMC.msi from the \program files\folder or download the GPMC add-on from Microsoft’s site. It is well worth the effort in installing to gain the the extra setting to manage your Group Policies. A user interface that makes it easier to use and manage Group Policy. Programmatic access to the above GPO operations. 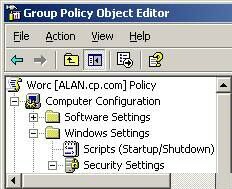 Note that it is not possible to programmatically set individual policy settings within a GPO. Windows 8 Group Policy Preferences. /boot Handy for configuration which need the computer to restart. I think of Block Inheritance as the ‘anarchists setting’. This is because OU’s further down the chain can prevent settings at the domain from taking effect. The knack of using Block Inheritance is to select the OU container and not the individual policy. I think of Enforce Policy as ‘Big brother fights back’ this setting prevents any ‘anarchists’ from changing a setting further down the OU chain. The trick to enforcing is to right-click the individual policy, not the OU. Changing the Security permissions on policies is one of the best kept secrets of Group Policies. Microsoft call it ‘filtering’ the policy so it only applies to certain users. The default setting is ‘Authenticated Users’ Apply Group Policy. A question: is the Administrator an ‘Authenticated User’? 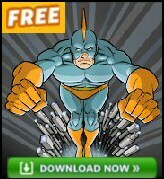 Of course he is. This is how enthusiastic policy setters lock themselves by applying severe policies at the Domain level and forgetting that they are an authenticated User’. The secret is to remove ‘Authenticated User’ and add the groups you actually want the policy to affect. What’s new with delegation of permissions is there is a new built-in global group called Group Policy Creator Owners. My own view is that I would confine configuring Group policies to a small select group of experts and not allow delegation of Group Policies to people in OUs. My point is that usually I am all for delegation, creating users – yes, reset passwords – excellent use of delegation, but delegate Group Policies – no. If there is a business case for an application then create a Policy and deliver the package to the Start Menu. Techies likes this approach because they can then apply service packs and upgrades from one central place. These policies operate from the Software Settings folder. If you want everyone who logs on to use an application, then Assign it to a computer; however if the user needs special software wherever they logon, Assign it at the User Configuration folder. If you want more information, my Active Directory eBook has much more information on Group Policies, including screen shots of how and where to configure policies.